The Mitsubishi Eclipse Cross breaks into its home Top 30 for its first full month of sales. The Japanese new car market disappoints once again with a 6th consecutive year-on-year decline at -3.5% to 667.275 registrations, pulling the year-to-date tally down 2.3% to 1.540.691 units. Brand leader Toyota is hit a lot harder at -9.9% to 27% share, with the Top 8 best-sellers unchanged on February and the YTD order. Mitsubishi once again is the best performer with a 21.7% surge and Daihatsu (+4%), Mazda (+2.2%) and Honda (+1.1%) are also in positive but Subaru (-9.2%), Nissan (-6.6%) and Suzuki (-1%) all decline. Further down, Lexus (+38.1%) posts the largest gain in the Top 20, with McLaren (+136.4%), Alpina (+78.9%), Alfa Romeo (+69.7%), Lotus (+68.4%), Land Rover (+58.8%), Chevrolet (+58.1%), Cadillac (+44.3%), Citroen (+21.8%), Peugeot (+14.9%) and Porsche (+10.8%) also showing great form. 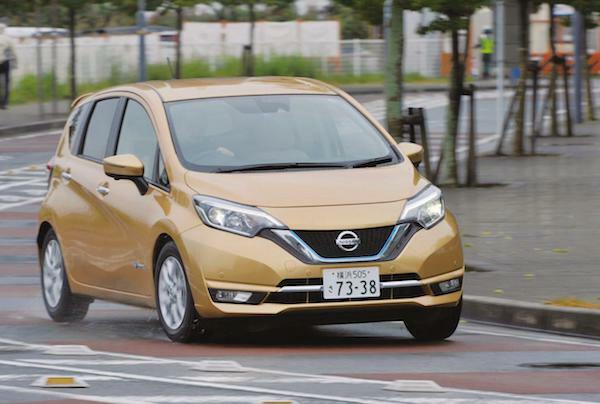 The Nissan Note is the best-selling regular car in Japan for the third month running. In the regular cars ranking, the Nissan Note manages a third consecutive month in pole position despite a steep 21% year-on-year, making it 8 monthly wins for this generation Note, starting in November 2016. The Toyota Prius freefalls 30% but remains in 2nd place while the Nissan Serena (+3%) overtakes the Toyota Aqua (+17%) to climb onto the third step of the podium. The Honda Fit (+8%) rounds up the Top 5, followed by the Toyota Voxy (+15%) while the remainder of the Top 10 all post double-digit declines, the hardest hit being the Toyota C-HR (-35%). Further down, the Honda StepWGN (+49%), Toyota Alphard (+46%), Land Cruiser (+104%), Camry (+1020%), Nissan Leaf (+91%), Daihatsu Thor (+76%) and Lexus NX300H (+126%) post the largest gains in the Top 50. 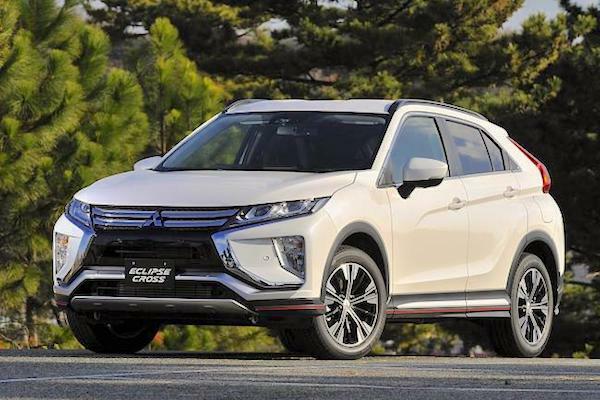 Launched last month, the Mitsubishi Eclipse Cross shoots up to #27 for its 1st full month of sales, becoming the #1 recent launch (<12 months) above the Mazda CX-8 (#29), Suzuki Xbee (#31), Honda Civic (#41) and Lexus LS500H (#50). The Daihatsu Mira is up 44% year-on-year in March, the largest gain among the Top 10 kei cars. Over in the kei cars ranking, the Honda N-BOX remains the dominant force in the segment and the overall market as a 3% year-on-year gain propels it to 26.851 units and the best-selling vehicle in the country. The Suzuki Spacia (+24%) and Daihatsu Move (+16%) both overtake the Nissan Dayz (-14%) to rank 2nd and 3rd respectively for the month, while the Daihatsu Tanto (-18%) closes out the Top 5 but posts the steepest decline in the Top 10. 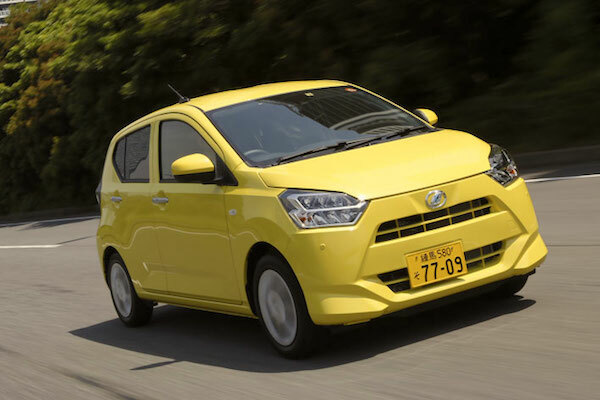 Below the Suzuki Wagon R up 3%, the Daihatsu Mira on the other hand signs the largest year-on-year improvement among the ten best-selling kei cars in March at +44%. Further down, notice the Honda N-ONE (+205%), Daihatsu Atrai Wagon (+137%), Mazda Flair Wagon (+64%), Subaru Pleo (+53%) and Toyota Pixis (+28%) all significantly higher than a year ago. 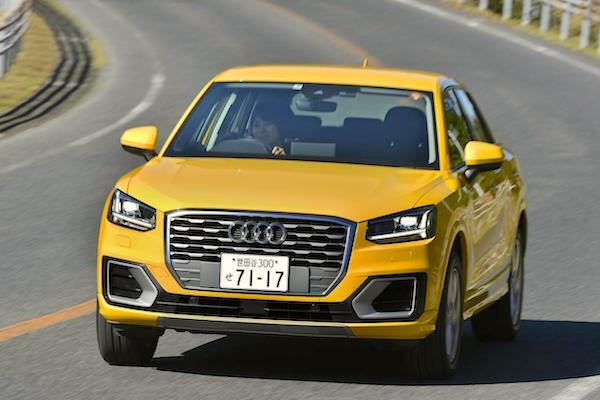 The Audi Q2 makes its first appearance among the Top 20 foreigners in Japan. As is the tradition every quarter we have access to foreign models ranking in Japan, and over the First Quarter of 2018, and it’s a mini-event on top: for only the second time in the past eight quarters, the VW Golf (+2%) takes the lead, knocking the Mini (+2%) to 2nd place. The Mercedes C-Class, E-Class and BMW 3 Series round out the Top 5, replicating the Q4 2017 and FY2017 orders. The Volvo V40 shoots back up 6 spots on Q4 2017 to #6 ahead of the BMW X1 and VW Polo. The Mercedes GLC (+29%), A Class (+18%) and BMW 5 Series (+12%) all post very solid gains. We have two new arrivals in the Foreign Top 20: the Audi Q2 leaps directly to #16 while the VW Tiguan is propelled by its new generation to #18. Full March 2018 Top 55 All-brands, Top 50 regular cars, Top 33 kei cars and Q1 Top 20 foreigners below. Japan Kei cars November 2012: Honda N-One already close to 10,000 sales!